Home News Press Release DC Super Heroes Celebrate Justice League Christmas! DC Super Heroes Celebrate Justice League Christmas! 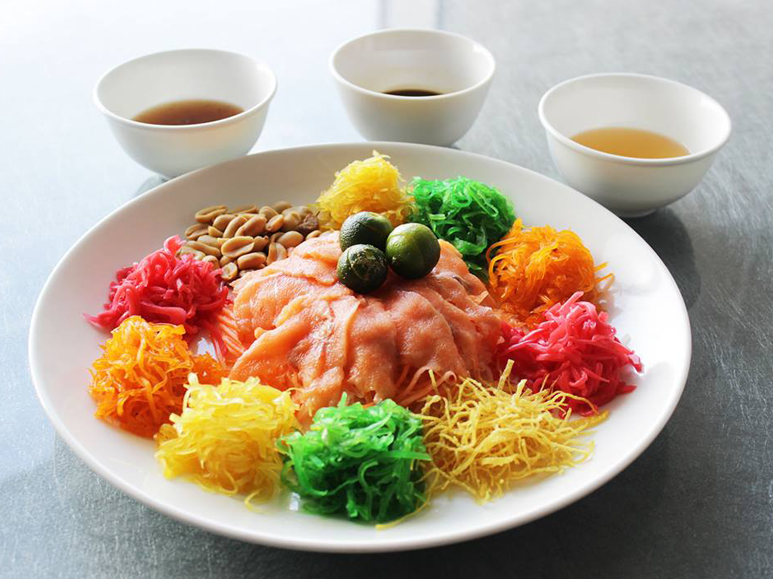 Christmas in the Philippines is not only about having fun with your family, but also about sharing gifts with friends and loved ones. 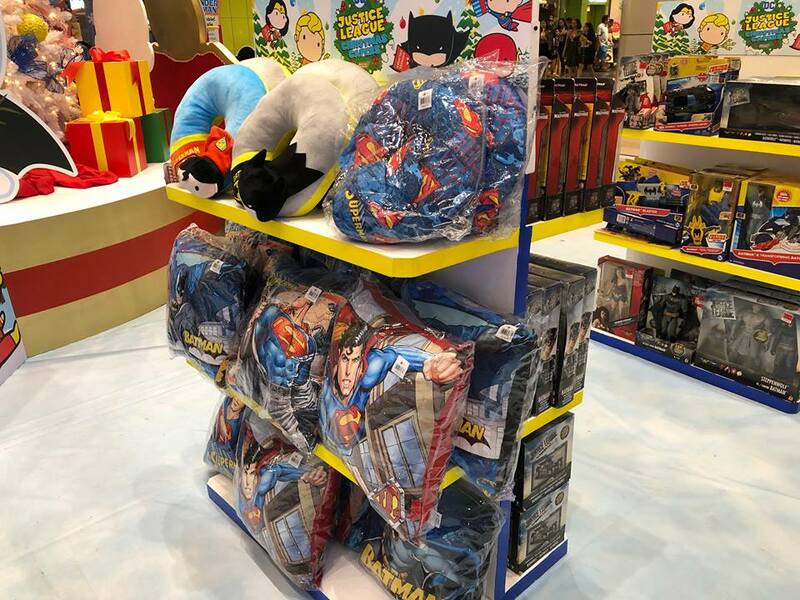 The event grounds will also launch the newest collections of Justice League apparel, bags, homeware, pillows, and plush toys, featuring these adorable versions of our favorite Justice League heroes from The SM Store. 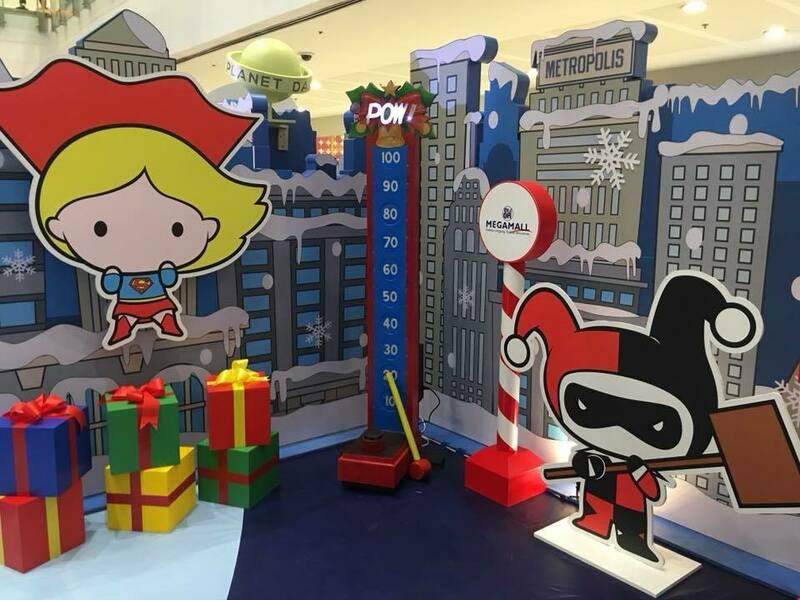 Warner Bros. Consumer Products (WBCP), together with regional licensing partner, Pacific Licensing Studio, and SM Supermalls, bring the world’s greatest… and cutest… DC Super Heroes for Christmas. 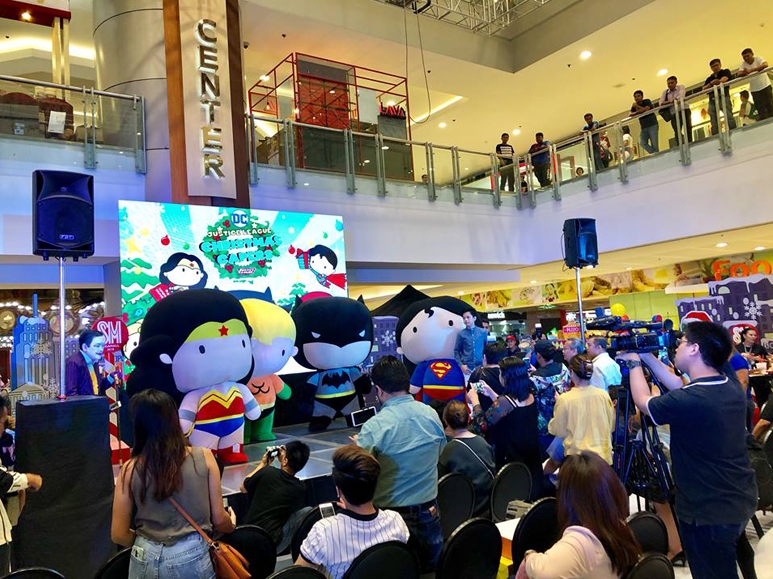 Since mid-November, the fun and colorful world of Superman, Batman and Wonder Woman, emerges at the SM Megamall Atrium for the limited event, Justice League Christmas Capers. 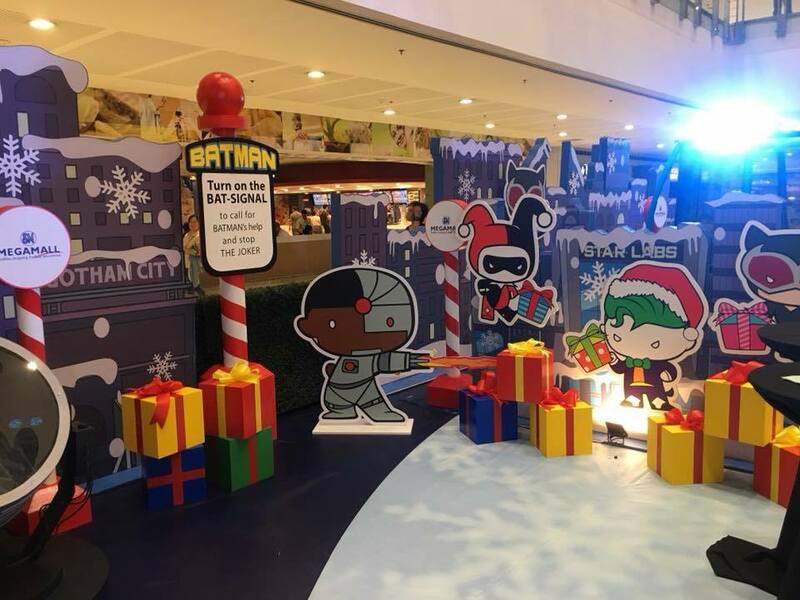 Set within the snowy streets of Metropolis and Gotham City, families can enjoy exciting holiday activities with the cutest versions of the Justice League. Kids can help Superman in the hunt for Christmas presents which his evil opposite, Bizarro, hid away. Little girls can test their true strength with Supergirl’s high striker, to prepare them for a holiday challenge against Harley Quinn. 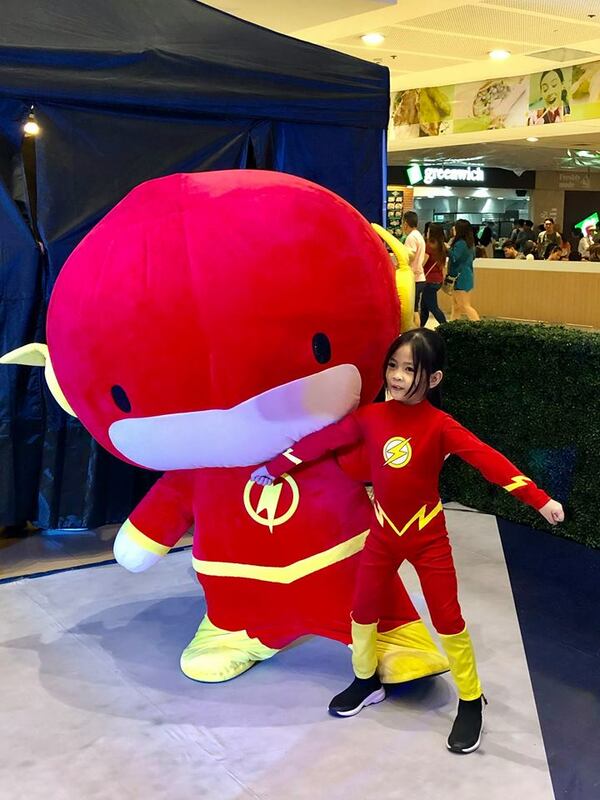 And children must unleash their inner Amazon in an obstacle course to help Wonder Woman catch Cat Woman before she reaches Star Labs and ruin their Christmas party. Families can help Cyborg in targeting the DC Super Villains before they run away with our Christmas presents. Finally, boys and girls will be able to turn on the Bat-signal to call upon Batman, and stop The Joker’s naughty plans for Christmas Eve. These colorful collections are perfect presents for boys, girls and children of all ages, fully encompassing the fun spirit of Christmas! And Who Are the Justice League? Greater than the sum of their awe-inspiring parts, the Justice League handles threats too massive for any single hero. Made up of the World’s Greatest Super Heroes, their membership inflates and contracts around each new threat, but the core line-up is known as the Big Seven: Superman (the most powerful hero in the world); Batman (the apex of physical and mental human achievement); Wonder Woman (the Amazon’s princess and greatest warrior); Green Lantern, an intergalactic cop armed with his own power ring; the super-fast Flash; Aquaman (King of the Seven Seas); and Cyborg (a half-man/half-robot outfitted with the world’s most advanced technology). An A-team of crusaders with a super-powered bench deep enough to handle any cosmic foe, these heroes are all still very human at heart, plagued with the flaws that haunt any of us. Next articleChristmas Message of Pope Francis Asking For Mutual Understanding.